You must make reservations at least 5 minutes in advance of the time at Casa Nostra Ristorante - Pacific Palisades. Please see regular menu for item descriptions. Enjoying the simple pleasure of eating and drinking is our way of living at Casa Nostra. 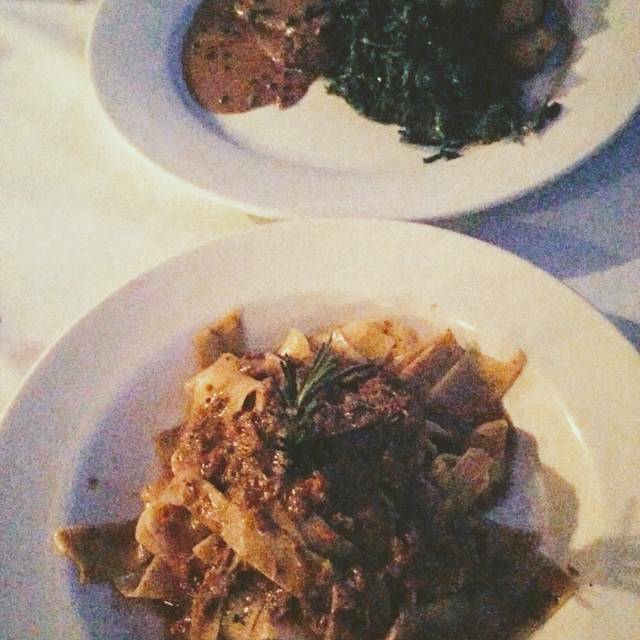 Nestled in the hills of the Palisades, we offer classic Italian cuisine in a cozy, relaxed atmosphere. We love bringing our passion for the tastes of Italy to your table in every dish, using high quality, imported Italian products and the freshest locally grown produce. Our knowledgeable staff prides itself in providing a simple, flavorful dining experience and making your visit to Casa Nostra Ristorante delicious and special. We have never been disappointed at Casa Nostra. It is consistently excellent and we would recommend it to anyone. We look forward to going there again soon. Martin is such a wonderful server with a big smile! 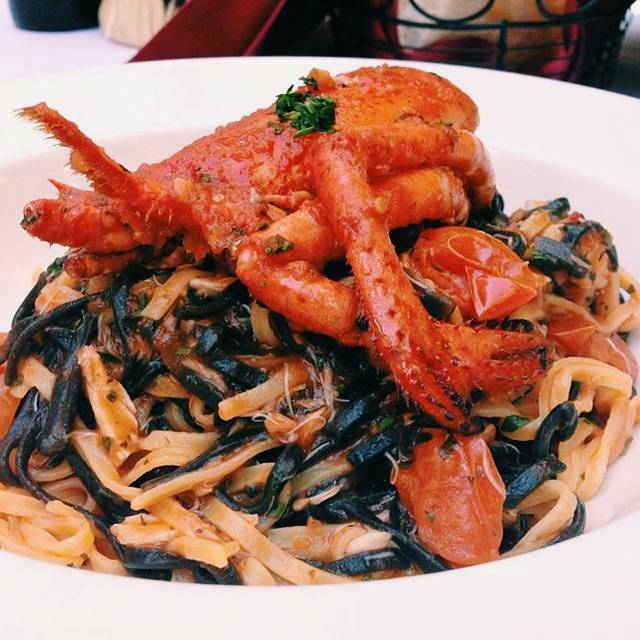 Always good -- Best Italian in the Palisades -- and there are lots of options. Restaurant and staff were superb; was not expecting parking lot to be occupied but did not take away from our total experience. Excellent in every way. Whenever I go here I am happy. Casual family and local dining restaurant. Warm armosphere with lively conversation and great Italian food. Nice Food and Atmosphere. Pricey for the whole experience. The ceaser salad was delicious and the entreè of lamb shank as well. It’s about the only restaurant I can go to where I can hear the person next to me. I wear hearing aids and I’ve stopped going to most restaurants because I simply cannot hear due to the excessively loud music and people yelling. A normal conversation in most restaurants is virtually impossible! Casa Nostra’s menu has something for everybody. Casa Nostra does not fail. Our party of four all had different meals: braised short ribs, pumpkin ravioli, filet of sole & veal chop. All done perfectly. Service is good. We were with friends from out of town, catching up, lots of talking. Our waiter picked up on it, did not rush us in the least. Wonderful neighborhood restaurant. We always enjoy our meal & ambiance. Great value, terrific food. Make sure you clarify if dogs are allowed on the patio before committing to a table. All well. Pasta carbonara very good. Pumpkin tortellini just ok. Wine selection very good. Parking easy. Welcoming. Considerate staff- get things done but not obtrusive. Great service and food. Always fun to go to our neighborhood restaurant where we are remembered. The menu is interesting with something for every palate and daily specials for added variety. Some tables have spectacular views of the surrounding mountains. Service is very good and consistent. I have eaten here many times and am always pleased with the meal and service. Excellent food and service. Enjoyed our meal very much. Love the restaurant! Great food! Family place! Best Italian restaurant in Pacific Palisades. Excellent food and service! You will never find another restaurant that serves hotter pasta. We've been to Casa Nostra probably 100 times and have loved it every time. They will make any reasonable change you want to you pasta. First of all, I like that it feels like a neighborhood Italian. Family friendly. We ordered Caprese Salad, lamb shank and Branzino. Of all the items ordered the lamb shank was exceptional. The cheesy risotto beneath it was perfectly al dente. The Caprese salad was less than ideal. The tomato was out of season and mostly pink. The basil didn’t seem fresh and the buffalo mozerella was not creamy but hard and rubbery. The Branzino seemed less like Branzino and more like cod. It was very mild, not crispy and golden as we have had it other places. The spinach on the side was unremarkable in every way. The highlights were lamb shank, a complementary vin santo with biscotti and learning that its free corkage Monday-Friday. Very nice, chef very accommodating as well as waiters. Exceptional was always- food, service and welcome! Palisadians continue to support this Highlands “family”. As good as some of the best restaurants we ate in in Italy. Special veal ravioli with porcinii mushrooms and truffles was fabulous, as were the langoustines and the branzino. Good food, great service and nice ambiance. I highly recommend for quiet lunch and wonderful dinner. Always a good special fish at dinner. The food is delicious, and the wait staff is top-shelf, which is why I visit this gem often. The grilled calamari salad is my go-to dish. If you want something that isn't on the menu, ask. If they have the ingredients, they'll make it. We love the food and service is great. Alfredo and Giuseppe are always so welcoming to us. We eat here a lot and never get tired of it. Fantastic food, service and ambiance. Can't wait to go back! Casa Nostra continues to be one of our favorites. We just returned from a month in Italy and the Casa Nostra menu, quality of dishes and congeniality measure up in every way! Outstanding food. We had the bologanese and the orchetta with mushrooms and chicken sausage. Both were steaming hot. The caesar salad didn't have much flavor but the pastas were heavenly. The waiter surprised us with a delicious pistachio and ricotta cake with a candle on top for desert. Then brought us each a glass of a chilled after dinner wine. It was a wonderful evening. Thank you Casa Nostra for a delicious and fun dinner you made our evening. Casa Nostra’s owners/managers and staff treat guests with both dignity and warmth, even if a guest hasn’t come by for months or are brand new to The place. The staff knows they offer something special. They can afford to be gracious. There are little touches that support their excellent cuisine, like the best “house” Chianti for the price and sensually satisfying fresh baked bread, with fresh Italian olive oil and balsamic vinegar. All the produce is farm fresh. Desserts (if you can justify having any) are locally made or sourced. Each restaurant has its own distinctive character at each of the locations we know of. For that reason, we think of each of them as a “local’s place” that welcomes newcomers as new members of that local family of patrons. For an occasion like a birthday, such as I celebrated earlier this week, my wife and I were very grateful to have this option available to us (again!). We’ll be glad to return when the next occasion comes comes around. I’ve eaten at there Westlake Village location several times and love it. The Palisades location lacked the service and ambiance of Westlake.